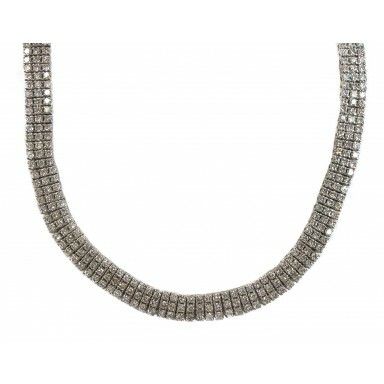 This elegant necklace displays 317 round diamonds of varying sizes in a pattern that .. 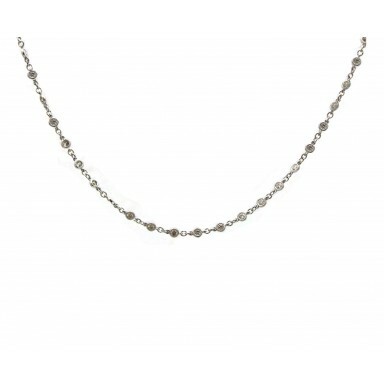 This everyday necklace features three princess cut diamonds, each suspended diagonally from a d.. 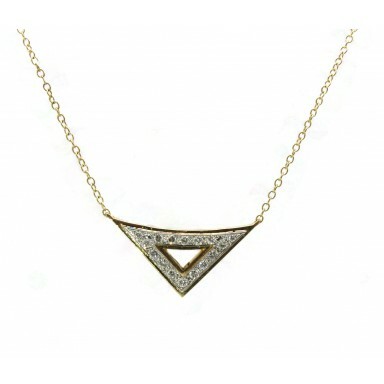 This contemporary and distinctive pendant features a yellow gold triangle with bead-set white brilli.. 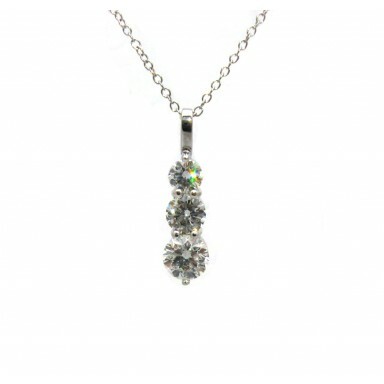 This striking pendant features an array of vertically stacked graduating round brilliant diamonds.&n.. 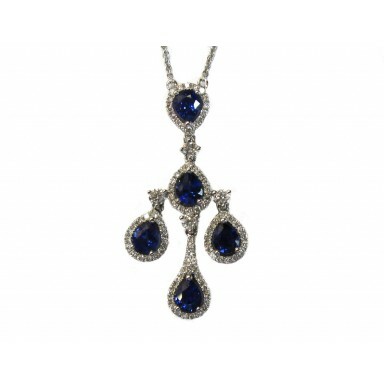 This stunning necklace displays five pear shaped sapphires, each surrounded by a halo of diamon.. 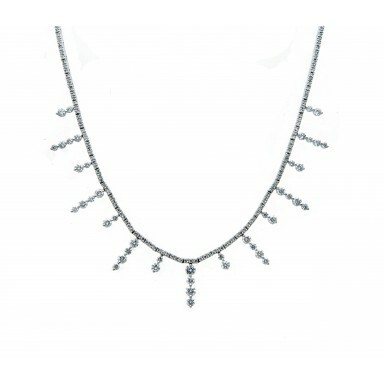 This striking necklace holds three tiers of round diamonds that wrap completely around the neck. Sle.. 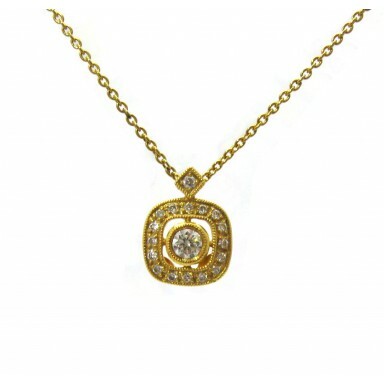 This diamond pendant features a center diamond with yellow gold spokes leading out to a white diamon.. 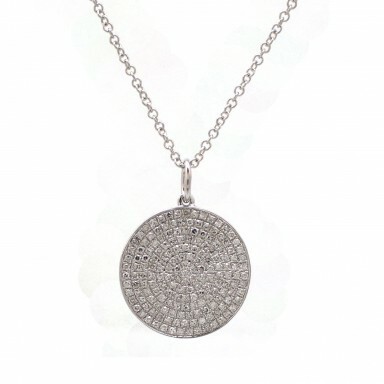 This white gold disc is the perfect Sweet Sixteen or graduation gift. Suitable for any age, this pen.. 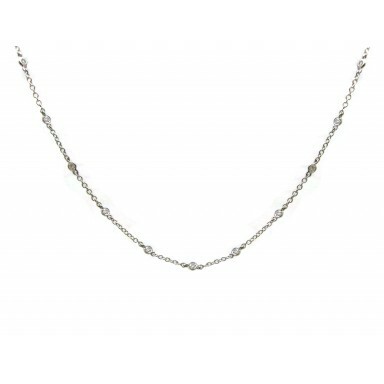 This everyday necklace features 23 round diamonds interspersed along a delicate white gold chain. Ea.. 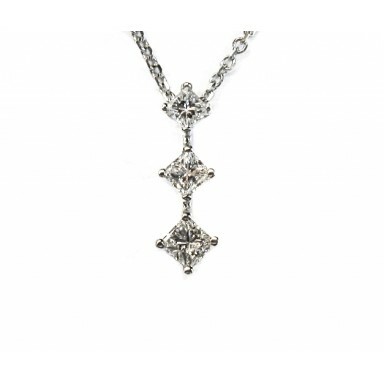 This Diamond by the Yard necklace boasts over 4CT of round diamonds interspersed tightly a.. 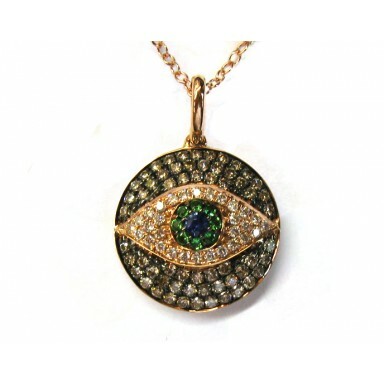 This unique Eye of Providence pendant is a striking display of diamonds and colored stones set in ro.. 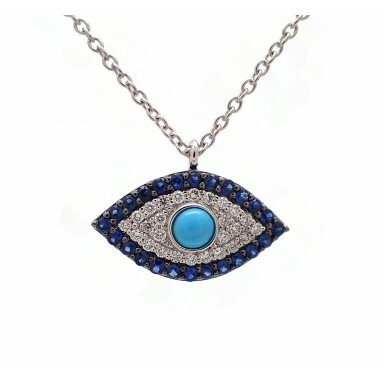 This “Eye of Providence” is an ancient symbol of protection used throughout the Middle Eas.. 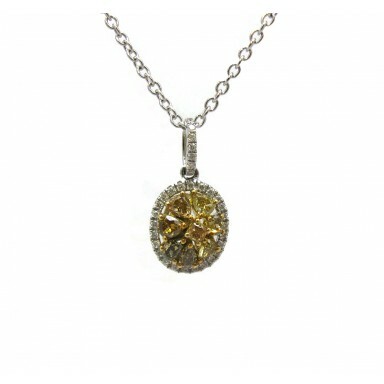 This unique pendant contains 8 yellow diamonds of mixed shapes in a halo of white diamonds. Add some.. 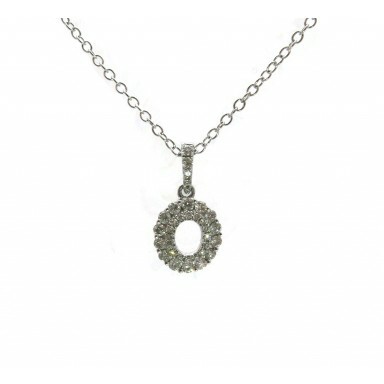 This oval diamond pendant is open in the center giving it a lighter more defined look. The oval is m.. 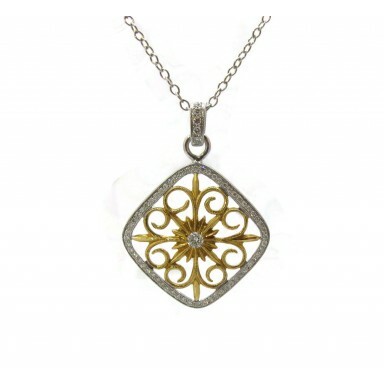 This antique style pendant features a bezel-set center round diamond surrounded by a cushion sh..